Protein powders can work wonders for those looking to lose weight. Why? It’s an easy, convenient, and cheap way to help you meet your daily nutritional needs. Plant foods are naturally lower in protein than animal foods, so it may be challenging to get enough protein in your diet from food alone. That’s where plant-based protein powders come in handy. By supplementing in your favorite shake or smoothie, you can get an easy energy boost to help you power through your day or your workout. Not only that, plant-based protein has been shown to be just as effective as whey protein to induce favorable body composition changes. 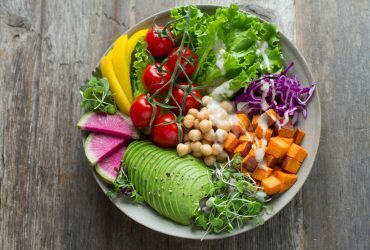 So to help you simplify your decision, we put together our list of the top plant based protein for weight loss. 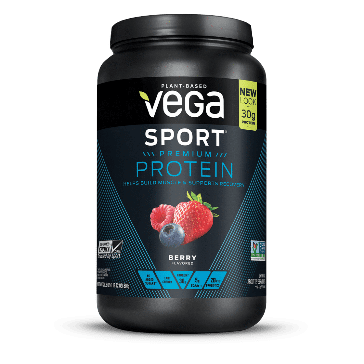 Starting off with our top pick for best protein per serving, Vega Sport Premium Protein. This brand new line of protein powder packs 30g of protein per serving! Considering most brands hover around 20g, Vega truly stands out. Their protein is also USDA organic, gluten free, non-GMO, and certified vegan. Available also in chocolate or vanilla. They pride themselves in sustainability and transparency, making them a great pick for your nutrition needs and a healthy environment. 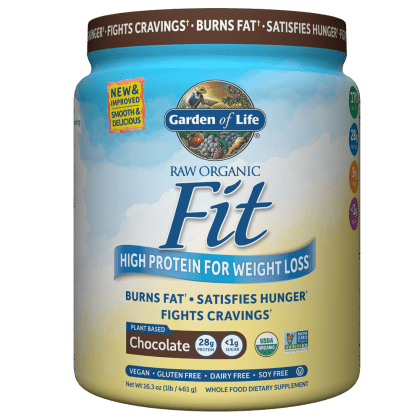 Garden of Life, another powerhouse supplement company, takes the top spot for best gluten free protein powder. Their Raw Organic Fit protein line is vegan, gluten free, dairy free, and soy free. It also has an impressive 28g protein per serving, with less than just one gram of sugar. They offer several plant-based supplements in addition to their Raw Organic Fit that range from protein & greens to a full meal replacement. As a company, they pride themselves on selecting the highest quality ingredients and ensure the farmers they buy from are farming ethically, that they’re paid fairly, and treated kindly. 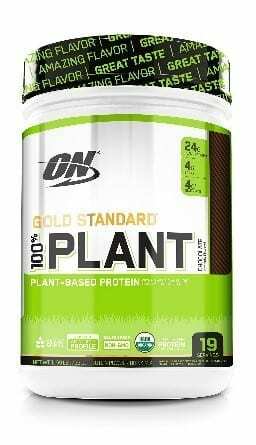 Optimum Nutrition’s Gold Standard 100% Plant Protein powder is our best soy free pick! 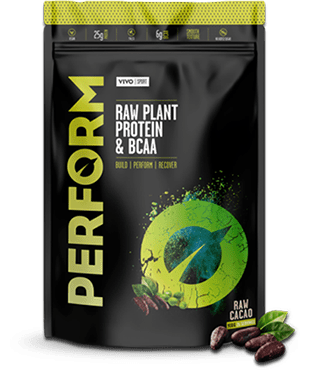 Despite being in the supplement industry for years, in February 2018 they released their first ever plant-based protein. At 19 servings per jug, one scoop is packed with 24g of protein. Their 100% Plant formula has a complete amino acid profile, four grams of naturally occurring BCAAs, and four grams of naturally occurring glutamine. 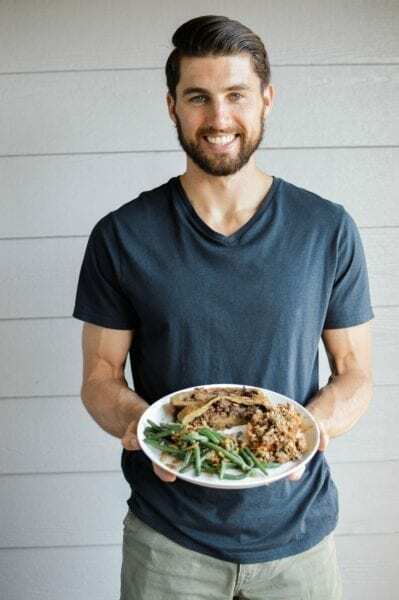 In addition to protein and amino acids, you’ll also find Vitamin B12, a crucial vitamin for vegan and plant-based nutrition. All in all, this is a great pick for your weight loss goals. 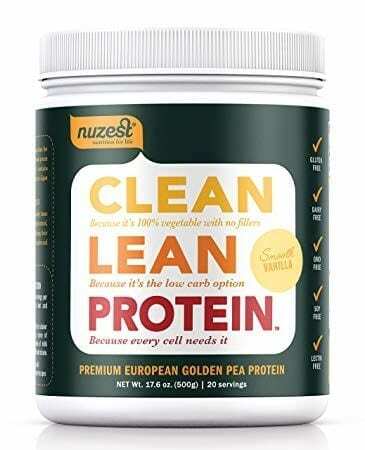 Nuzest Clean Lean Protein serves as our top pick for best non-GMO protein powder on the market. Their gold pea based protein powder is free from all common allergens, high in protein (20g/serving), and is both low-fat and low-carb. Their vanilla flavor has only four ingredients and each batch is individually tested for contaminants before it reaches your shaker bottle. Nuzest’s philosophy: making good nutrition easy for everyone. They act on that by constantly evolving their formulas to stay up-to-date with the current science. It’s their way of showing customers that science and medicine combined, make a fantastic protein powder. 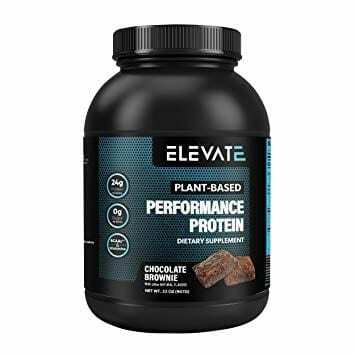 Co-founders of Elevate Nutrition, Jillian and Paul, created the ultimate stevia free protein powder – Elevate Plant Based Performance Protein. Their vanilla milkshake flavor is low carb, contains zero sugar, non-GMO, and is also dairy, gluten and soy-free. It’s packed with BCAAs and glutamine to help you recover from your workouts more quickly. At only 130 calories per serving, this is a great option for those looking to avoid stevia and help their weight loss goals. Sprout Living created a truly epic plant-based protein in their newest line of nutritional supplements. 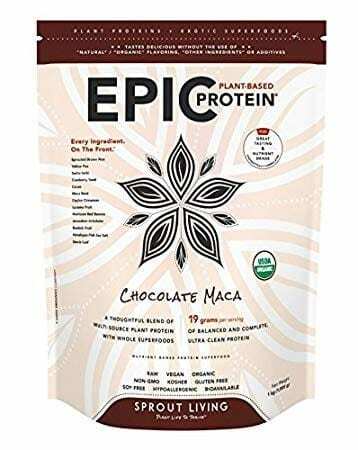 Their chocolate Maca flavor is full of nutrient-dense plant foods to help keep you satisfied and energized for hours. Two scoops of protein contains 19g protein, 4.5g fiber, and 2g fat. Their unique protein blend of yellow pea, sunflower seed, pumpkin seed, sacha inchi, and cranberry seed serves as a powerful aid to weight loss. They’re also free of thickeners and gum, something you rarely find in a quality protein powder. 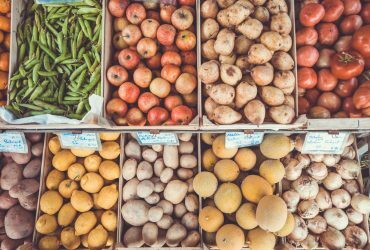 Not only do we love their product, but their blog is full of helpful topics centered around plant nutrition. You can read about it here. 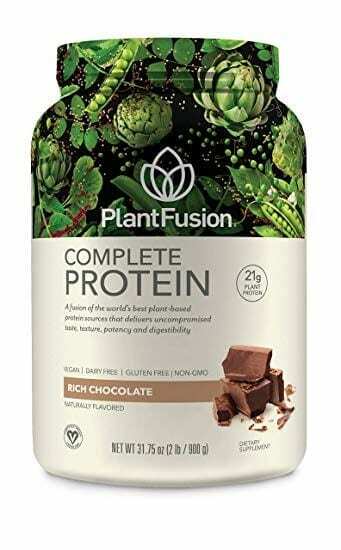 One of our favorite tasting proteins from this list is PlantFusion’s Creamy Vanilla Bean Complete Protein. At 25g protein per serving, this is a great choice for those looking for a top rated sugar free protein powder. It’s also dairy free, gluten free, and non-GMO. The take pride in taking the extra step to guarantee quality and flavor in their supplements. Their Flavor PureTM blend is something you won’t find in any other nutritional supplement. Winner of the 2017 Cleanest Packaged Food Awards, Orgain Plant Based Protein powder is our winner for best organic protein for weight loss. Born out of frustration with artificial shakes, Dr. Andrew Abraham modeled Orain after the shakes he used to make as a kid. What you’ll find inside: 21g protein, 7g of organic fiber, and 0g sugar. Wholesome ingredients that work for you, instead of against you. 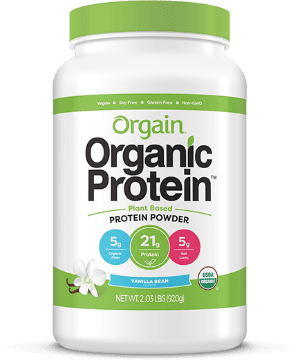 Orgain Plant Based Protein is a great choice for those looking for organic, gluten free, kosher, and non-GMO protein powder. For those interested in Raw Vegan protein powder, VivoLife Perform comes in at #1 for best raw protein. Manufactured in the UK, VivoLife is made with fermented protein for optimal digestion. So fear not the protein farts any longer! Inside a bag of VivoLife, you can find 25g of protein and 6g BCAA per serving, turmeric for recovery, and no added sugar of any kind. Their mission is to help you live your life to the fullest with happiness and compassion. 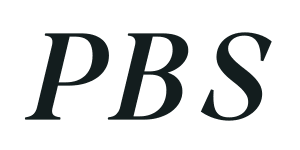 Not only that, they also takes a stand for the animals and the environment by provided you with cruelty free plant-based ingredients and a carbon neutral delivery. Check out their video on why VivoLife Perform is for you. 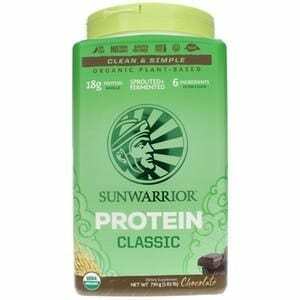 Our best choice for a brown rice protein powder is Sunwarrior Chocolate Protein Classic. 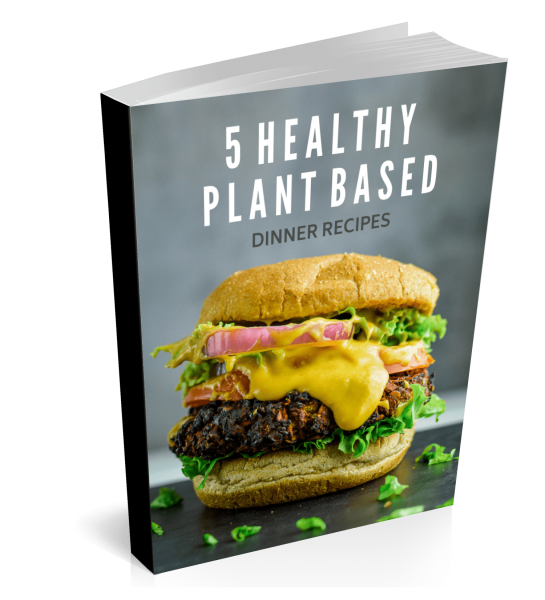 It’s full of clean and simple organic, plant-based ingredients to help you lose weight and perform at your best. In one scoop of their formulated blend, you’ll find 18g protein, 0g added sugar, and 1.5g fat. It also has only six ingredients and a full amino acid profile. After starting their company in 2008, Sunwarrior has dedicated themselves to providing you with the best proteins and superfood supplements. From sourcing the finest ingredients to manufacturing recyclable containers, they continue to impress. Their recent packaging redesign was attributed to making their brand more recognizable on store shelves. So keep an eye out at your nearest health food store for Sunwarrior! Whether your an athlete, weekend warrior, or just want to get in better shape, NOW Sports Organic Pea Protein is a fantastic choice. Celebrating 50 years, NOW knows a thing or two about nutritional supplements. 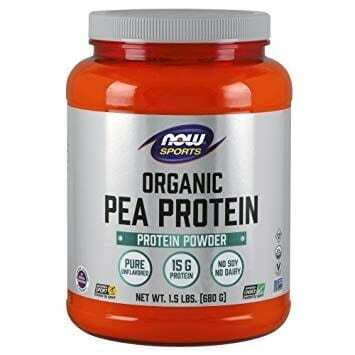 In just one serving of their Organic Pea Protein, you’ll get 15g of high quality pea protein. Their protein is also certified by Informed-Sport, meaning it adheres to their strict testing standards for quality and purity. Additionally, even with only one ingredient (organic yellow pea protein isolate), this protein powder provides a complete amino acid profile that’s free of artificial sweeteners, common allergens, and is USDA organic. 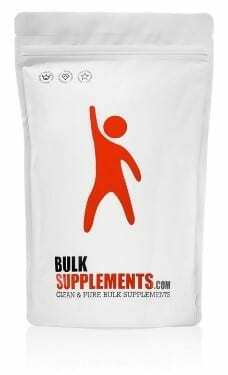 The best low carbohydrate protein pick is BulkSupplements Pea Protein powder. We like this choice because they not only provide 24g protein per serving, but also have a whopping 33 servings per container in their 2.2lb package. That’s something you just do not find in most other protein powders. It’s also free of sugar, soy, dairy, yeast, gluten, corn, and other potentially harmful additives. For best results, mix into your favorite shake or smoothie! 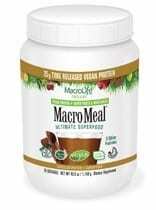 Our top pick for the best all-in-one protein is MacroLife’s Macro Meal Ultimate Superfood nutritional shake. It’s chock full of nutrients like organic maca root and acai berries to help keep your energy levels at max. Each 180 calorie serving of their chocolate flavor packs 25g protein, 5g fiber, and a host of other vitamins and minerals. We like their MacroMeal’s shake because of their time released plant proteins. They are specifically formulated to be slow and fast release, providing you with quick and sustained nutrition. MacroLife has been creating quality products since 1998 that taste great and help fit your weight loss goals. You can read more about their story here. We absolutely love NAKED Nutrition’s Pea Protein for the top spot for one-ingredient protein powders. In every serving, you get 27g protein, 2g carbs, .5g fat, and 5.7g BCAAs (an impressive nutrition profile for just one ingredient). Their protein is made exclusively from raw yellow peas that are grown in the US and Canada to ensure quality in every tub. They also test for heavy metals by an independent third party laboratory and display it right on their site. (in which they pass passed with flying colors). No secrets here! 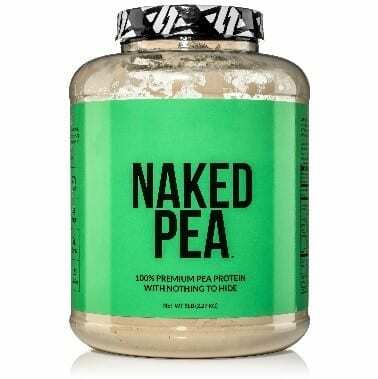 This only makes NAKED Pea Protein a great pick for a quality pea protein supplement. 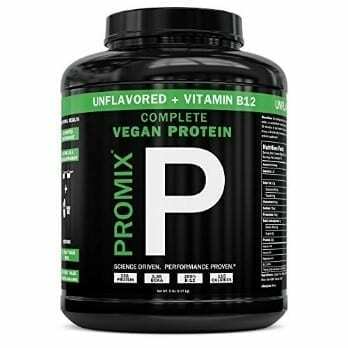 If you want to ensure you’re getting your daily dose of Vitamin B12, look no further than Promix Complete Vegan Protein with B12. At a very affordable $19.99 per 1lb tub, this science driven performance protein is manufactured with you in mind. Every serving contains 200% daily value of B12 and 25g of high quality plant protein. In addition to 5.3g BCAAs in every scoop, Promix contains no gluten, soy, stevia, or natural flavors. It’s best mixed with ice cold almond milk in a shake or in a smoothie. 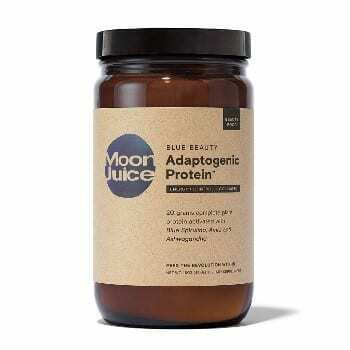 The most unique protein and best pick for adaptogens on our list is Moonjuice’s Blue Beauty Adaptogenic Protein. What is an adaptogen? It’s a natural substance that helps the body adapt to stress and promote balance. So if you want to shed some extra pounds and restore energy, this protein powder is for you. At 15 servings per container, Blue Beauty protein gets you 20g protein and 4g fiber per serving. Likewise, the ingredient list is short (only 7 ingredients), but packs a strong punch beneficial compounds for you body. Moonjuice protein is also vegan and has no dairy, soy, gum, or fillers. Born and bred in California, Ora so lean & so clean is our favorite protein made in the USA. In the language of Maori (native to New Zealand), Ora means life, health, and vitality. This means their protein powder is made with real ingredients that are gluten, soy, and dairy free. 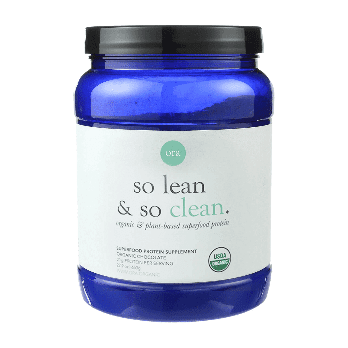 Each serving of so clean & so lean offers 22g of protein with just 1g of sugar. Their chocolate flavor is also made using fair trade, organic cocoa so it tastes just like chocolate milk when you drink it! Phenomenal taste coupled with superfoods and digestive enzymes to support digestion, this is an outstanding protein powder for anyone looking to support US businesses. You can always count on chocolate and vanilla protein powder, but how about pumpkin spice or chocolate peanut butter? 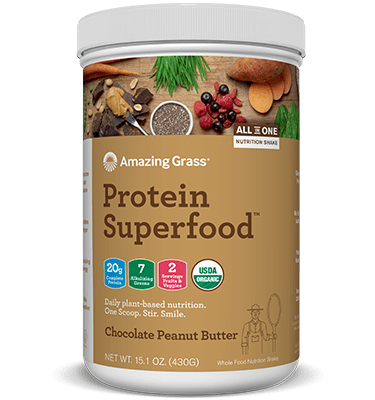 Look no further than Amazing Grass Protein Superfoods. 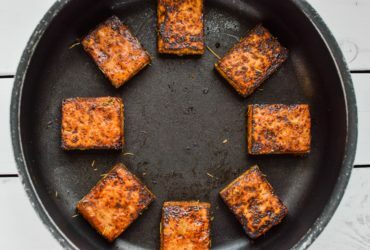 Our top choice most unique flavors, they have over 11 different flavored plant-based proteins. In just one scoop of their chocolate peppermint, you receive 20g protein and two full servings of fruits and veggies. Amazing Grass proteins taste great not only in shakes and smoothies, but are also great for baking! Chocolate peanut butter cookies, anyone? 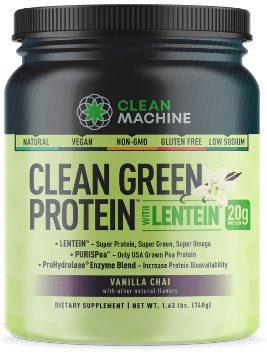 Our final pick on this list goes to one protein that isn’t found on Amazon, Clean Machine’s Clean Lean Protein with Lentein. Founder Geoff Palmer created something truly unique because his trademarked protein just won the NEXTY Award for Best New Supplement in 2018. Each scoop of Clean Machine contains 20g protein, 7g fiber, and omega-3 fatty acids. They also go so far to offer a 60-day money back guarantee if you are not satisfied. So look no further if you want to try out their protein and ensure it meets your needs. Wow, great job on this list! Thank you Tracey! I’m glad you enjoyed it. Do all these products contain pea protein, i have a sensitivity to pea protein makes my stomach really sore .Its hard to find one without pea protein.